Barnegat Bay's 75-square-mile, environmentally sensitive estuarine system consists of aquatic vegetation, shellfish beds, finfish habitats, waterfowl nesting grounds and spectacular vistas and provides open waters for recreational boaters and personal watercraft operators each summer. 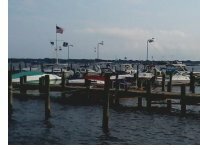 Certain activities by boaters and personal watercraft operators however, can harm the Bay by damaging submerged aquatic vegetation and disrupting wildlife and aquatic habitats. In early 2012 sixteen ecologically sensitive areas were identified online by using GIS software and a map for them was added to this website. 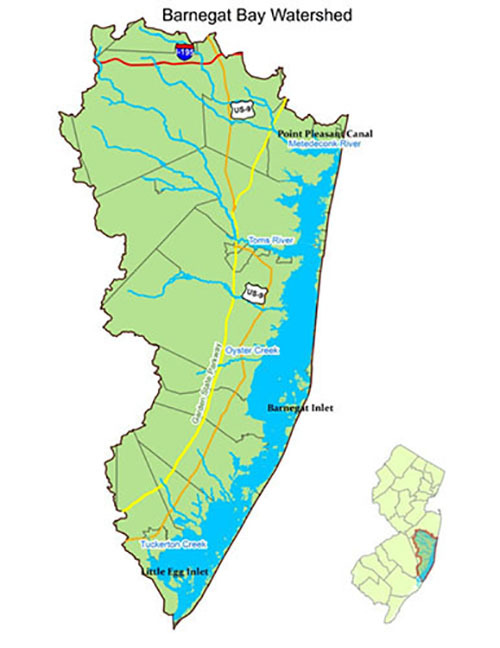 This same map became part of a poster and flyer that were developed for boaters that highlight these areas and showcase green boating practices that reduce the impact of boats and personal watercraft around these areas. During the spring and summer of 2012, marine enforcement officers conducted three compliance and education sweeps and issued warnings or summons when boater regulations were being violated. These sweeps were complemented by visual assessments of the 16 ecologically sensitive areas to determine the recreational use of these areas. 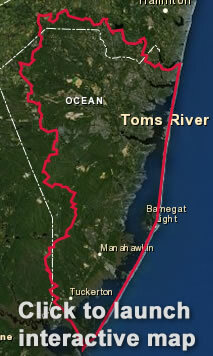 In addition, in 2013, research to measure the impact and value of the Marine Conservation Zone at Island Beach State Park to the ecology of the estuary was initiated. The results of this study will aid the department in management decision for other ecologically sensitive areas. For information about prior and future stakeholder meetings, go HERE.